Android 9 Pie Launches New Android Operating System Google has launched this operating system after the Android Orio 8.0. 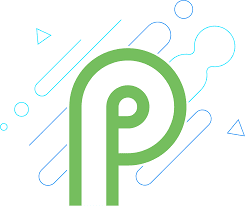 Let's tell you that Google's Chief Executive Officer Sundar Pichai had named this operating system Android P in Google I / O 2018. Now this operating system has been renamed to Android 9 Pie This operating system has many Artificial Intelligence features. This new operating system has been rolled out on August 8 or 9. This operating system has been rolled iTunes for the first time Google pixel smartphones. Gradually, it will be rolled out to other smartphones too. Let's know how to install this operating system's features in your smartphone. · First download the apk file of Pixel Launcher. · Install this apk file in your smartphone. · Now permit it for your default launcher in your smartphone. · After this, you can access the Android pie wallpaper and some features on your smartphone. After this, you can set the wallpaper on your home screen according to your own. · If you want the same button navigation gesture as Android pie, then you have to download any navigation gesture available on Google Play Store. · After this you give the necessary permissions to this app. · After downloading this app, you will see the navigation bar of Android Pie in place of three buttons. Note: Both of these steps can be installed only to explore Android Pie's features or to take advantage of the new operating system in your smartphone. Android P will be officially rolled out first on the device given below. Apart from this, this operating system can be given in new launch smartphones. Google pixel device: If you have a Google pixel device then you will get the update of this operating system first. This operating system has rolled out to Google's device. Google launched its pixel smartphones in 2016. OnePlus: Android 9 or Pie will also be rolled out for OnePlus5, OnePlus 5T and OnePlus 6. By the end of this year, it will be rolled out for OnePlus 5 and OnePlus 5T. However, an update for OnePlus 6 will be released in the next few weeks. Nokia: Nokia's device Nokia, Nokia, Nokia, Nokia 6.1 and Nokia 8 are part of the Android One program, this update will be released by November 30. Samsung: Samsung's premium smartphones will also roll out this operating system by the end of the year. Other smartphones: If you have Shoemi's Android One device Mi A1 and Mi A2, then you will get the update of this operating system soon. In addition, this operating system will be rolled out in Vivo X21 and Sony Xperia XZ2 too soon.